Autism spectrum disorder (ASD) includes different neurodevelopmental disorders characterized by deficits in social communication, and restricted, repetitive patterns of behavior, interests or activities. Based on the importance of early diagnosis for effective therapeutic intervention, several strategies have been employed for detection of the disorder. The artificial neural network (ANN) as a type of machine learning method is a common strategy. In the current study, we extracted genomic data for 487 ASD patients and 455 healthy individuals. 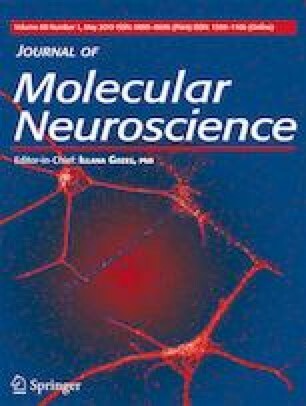 All individuals were genotyped in certain single-nucleotide polymorphisms within retinoic acid-related orphan receptor alpha (RORA), gamma-aminobutyric acid type A receptor beta3 subunit (GABRB3), synaptosomal-associated protein 25 (SNAP25) and metabotropic glutamate receptor 7 (GRM7) genes. Subsequently, we used the “Keras” package to create and train the ANN model. For cross-validation, samples were divided into ten folds. In the training process, initially, the first fold was preserved for validation and the other folds were used to train the model. The validation fold was then used to evaluate model performance. The k-fold cross-validation method was used to ensure model generalizability and to prevent overfitting. Local interpretable model-agnostic explanations (LIME) were applied to explain model predictions at the data sample level. The output of loss function was evaluated in the training process for each fold in the k-fold cross-validation model. Finally, the number of losses was reduced to less than 0.6 after 200 epochs (except in two cases). The accuracy, sensitivity and specificity of our model were 73.67%, 82.75% and 63.95%, respectively. The area under the curve (AUC) was 80.59. Consequently, in the current study, we propose an ANN-based method for differentiating ASD status from healthy status with adequate power. This study was financially and technically supported by Shahid Beheshti University of Medical Sciences.